Work on the city scene continues. On Friday I soldered the ends of the track to a strip of PCB material that was securely attached to the module. 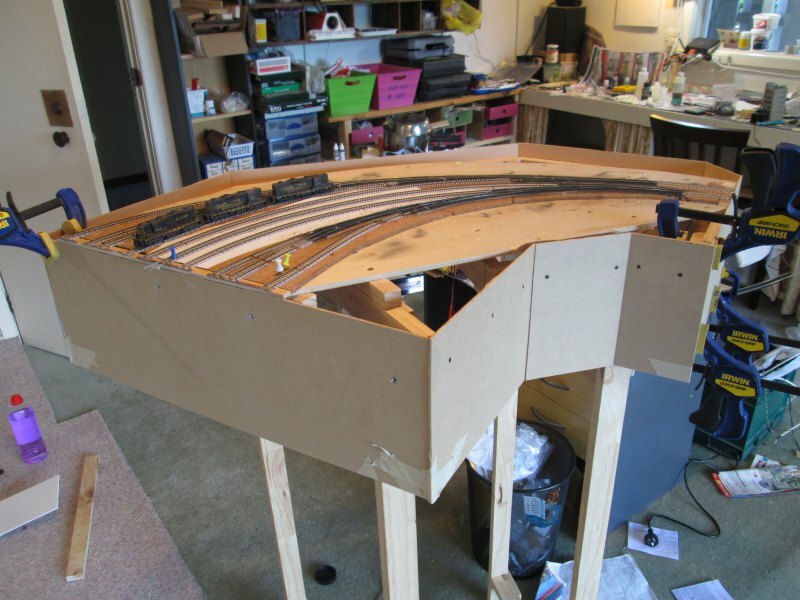 This means the track is now well attached, but the alignments can be subtly tweaked when required. Here you can see the cork base butting up against the 5mm MDF strip across the ends, and the PCB material on top of that. 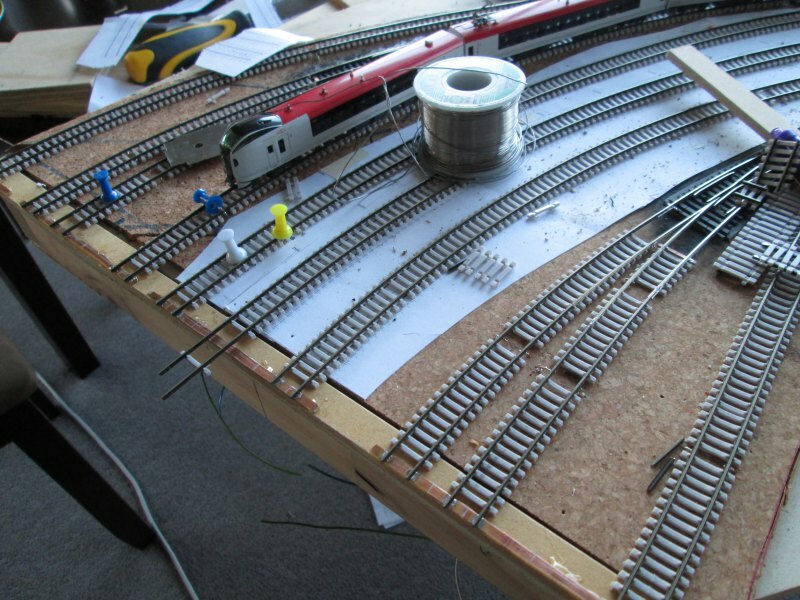 That means the basic track laying is now complete! Saturday saw the module relocated to the garage and the dining table rediscovered. 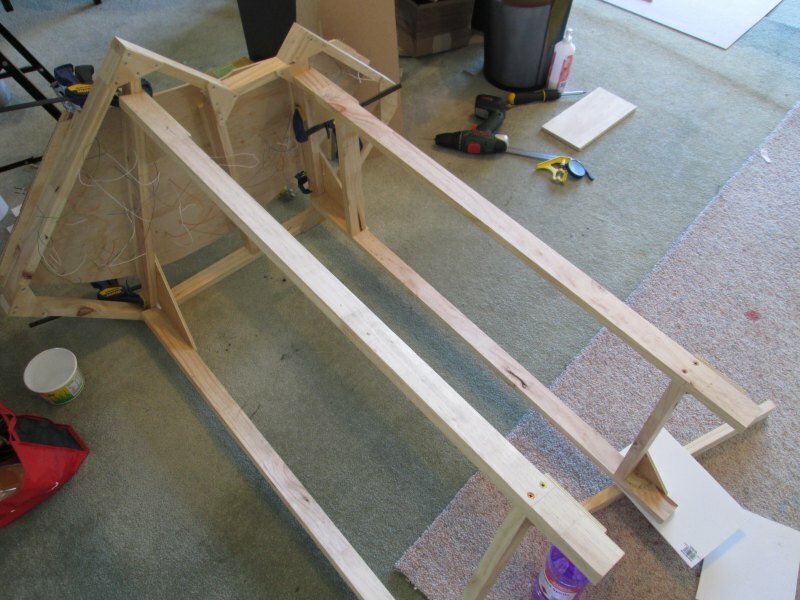 On Sunday I put on my worker hat and started building legs for the module. Here you can see them being positioned and attached. I used a slightly different system for these legs, with some large triangles of ply to give it strength and rigidity. Due to the tight confines under the module I didn't have enough room to drill holes for bolts, so instead it's glued and screwed (where possible) together. With the legs taken care of, I decided it was time to do the fascia; as I've discovered in the past, it's much easier to put the fascia on before the scenery, than do it afterwards. So with that in mind I got out my table saw, dialed in 200mm, and ripped a bunch 3mm MDF into fascia width strips. Then it was just a matter of trimming each segment to length and attaching. 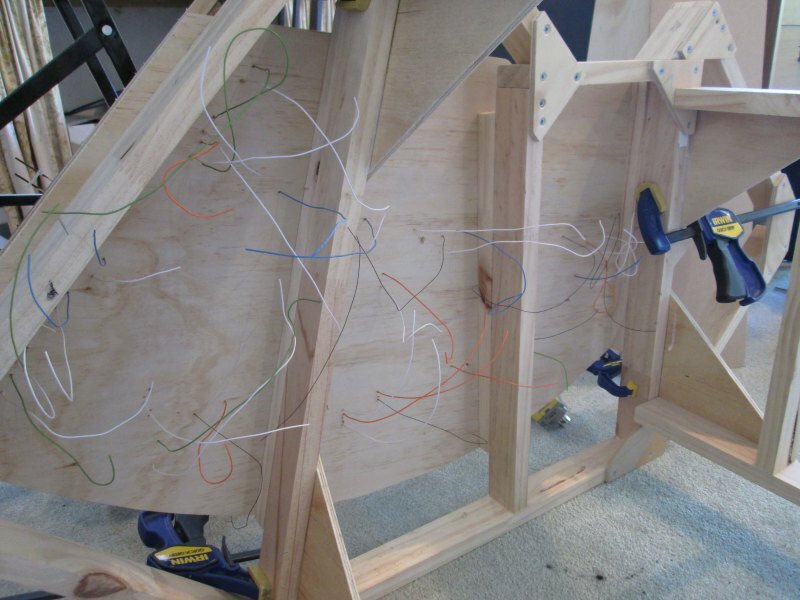 The ends are a sandwich of 12mm ply and 3mm MDF; the ply for strength, the MDF for looks. Standard mounting holes were added today and the ends sanded smooth. With a pair of calipers I made sure the two through-tracks were the right distance apart and soldered them in position, before filing the track ends flat. 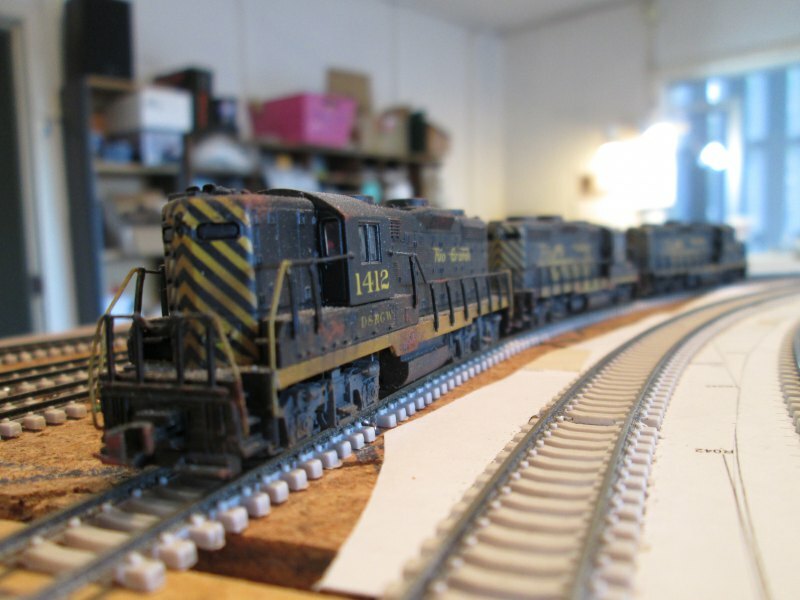 With all that done, I posed a trio of locos on the tracks. A bit of a marathon effort, and I'm exhausted now! What's next? Well there are lots of small jobs that need doing, like wiring up all the tracks on each module, connecting each module together, making sure the tracks at the end of each module are at the correct spacing, and so forth. Once done I'm looking forward to running some trains!